The Rotary Club of East Nassau recently presented $10,000 to Project Read Bahamas to assist Bahamians with living a normal life by learning how to read. The donation was part of the Rotary Club’s celebration for International Literacy Day, September 8. Brian Moodie, Chairman, accepted the check on behalf of Project Read. The check was presented acknowledging the importance of such a worthy organization dedicated to the eradication of illiteracy in The Bahamas. Project Read is a free and confidential service that teaches adult non-readers to learn to read using The Laubach Way to Reading, a specially devised adult literacy program that has worked for over 60 million people worldwide. Founded in 1991 by the Rotary Club of East Nassau, Project Read provides resources to ensure literacy continues to be a priority in The Bahamas. 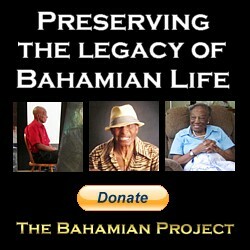 It is estimated that 1 in 4 Bahamians cannot read to a standard that allows them to function properly in our society. Project Read has helped improve the literacy levels of thousands of Bahamians. There is nothing more inspirational than the extraordinary growth a person experiences by learning to read. New readers learn to do more than read and write; they also gain the skills and confidence they need to make informed decisions in their lives transforming individual challenges into personal success. As a volunteer non-profit organization, volunteers share their time and efforts by tutoring students at their Village Road headquarters, daily tutoring at four local churches through a satellite program as well as weekly tutoring of inmates at Her Majesty’s Prison. With over 150 students and new readers, tutors are always welcome as there is a waiting list of students. Upcoming initiatives include raising awareness of illiteracy in the Bahamas, recognizing International Literacy Day on September 8, as well as bringing a specialist from the United States for a two-day reading workshop. The workshop will give Project Read tutors the opportunity to develop their skills in literacy education. It will be free of charge and open not only to existing tutors but also to local teachers and persons interested in becoming tutors. To make a donation, or to donate your time as a tutor, call Project Read at 394-2426.